We, the emperor of the rejuvenating homes with blissful reliance, quality & excellence. Shree Adarsh Group was established in 2002 by its founder chairman Mr. Sunil Dhumal. 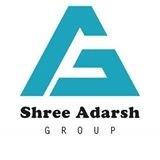 since its inception in 2002, Continue improvement, idyllic innovation are the strength pillar of Shree Adarsh Group, Every activity be in social, cultural, economical , Adarsh Group plays a key role & create its strong landmark. It has a huge tree having lots of branches of different activity. Adarsh Group create good faith in customer by its ancillary services, quality, commitment towards customer, trustworthiness in architect & every part thereof. Adarsh Group creates a new ground of lifestyle. Adarsh Group's primary activity in the field of construction & its provides complete civil engineering design services. Our design competence covers all engineering disciplines for the residential, commercial buildings. Maintain auspicious quality management system is an prime objective for continual improvement .